Team B and I want to remind you of our actual challenge, which is an "Anything Goes - Steampunk/Industrial" one as usual. 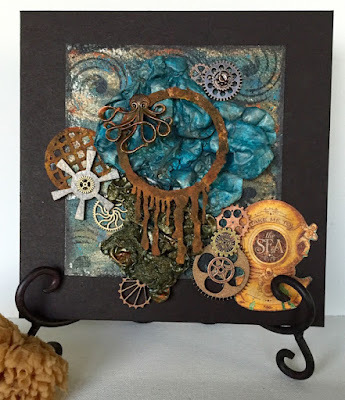 We would love to see your steampunk or industrial themed mixed media cards, tags, journal pages, canvasses, altered objects and whatever else you can imagine and create for our challenge! And by playing along you also get the chance to be picked as one of our two random prize winners of the prizes sponsored by DecoArt Media and boozybear! Steampunk and Tyvek - a magical connection. to dive deep into the Kraken's lair! and I love that Kerstin and I both played with Tyvek this month! and plenty of paints/sprays it was transformed. Deco Art chalky paint and media paste's. Boozy bear chipboard pieces a la blanche stamp. 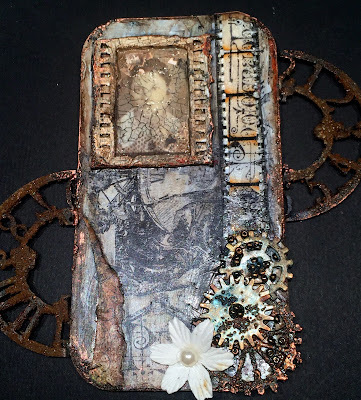 I recently felt the urge to browse and get out all my long hoarded found objects and embellishments and this inspired me to create some assemblage art in a box. If you haven't seen the makes of Team A at the start of the month, I highly recommend you take a look at those too (by clicking HERE)! 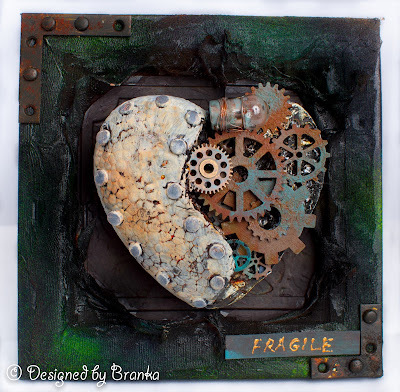 Hugs and happy steampunk craftin'! 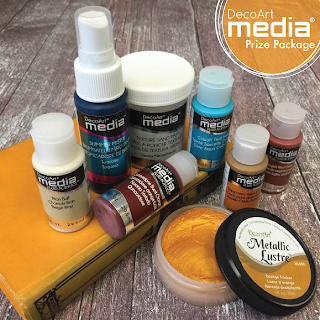 Servus and welcome to the announcement of our Top 5 and prize winners of the fab prize packs sponsored by DecoArt Media and boozybear! 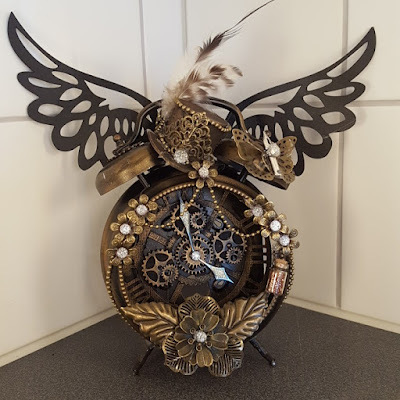 Once more we had an awesome load of fantastic projects being entered to our steampunk/industrial mixed media challenge and as always we were blown away by your imagination, skills and level of artistry! You really rock and it is you - our players - who make this challenge spot the special place it is! Thank you all so much! 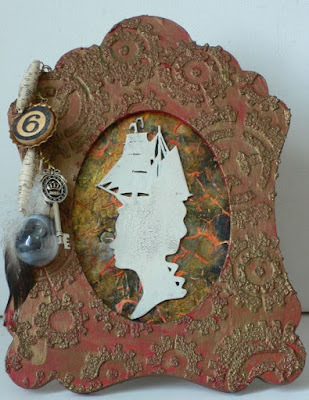 and the other a surprise steampunk chipboard pack from boozybear! who wins the boozybear prize pack! Yay! Congrats, Sandy and Autumn! Please, email me your shipping addresses, so your prizes can be sent to you asap. 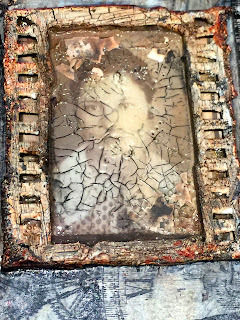 (DecoArt prize winners, please, include your phone number as DecoArt will only ship when they have it). As you can see I don't show the random.org images anymore, but prizes still get drawn using this site. I am sure you trust that I have picked the winners randomly without the images (and not having to screen print, edit and save the images on my computer anymore saves me a lot of time to be honest). 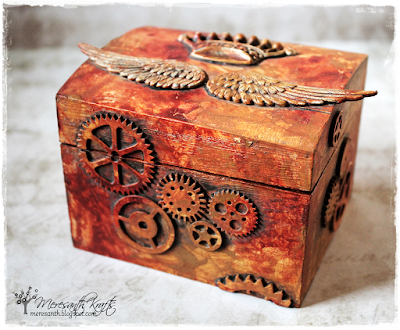 Our actual challenge (again an "Anything Goes - Steampunk/Industrial" themed one) has already started and if you want to enter your project to the collection, check out the makes of team A or take a look at the projects that have already been entered, click HERE. (ro simply scroll to the previous post). The second bundle of inspiration from team B will go live on June 15th - so make sure you don't miss it! 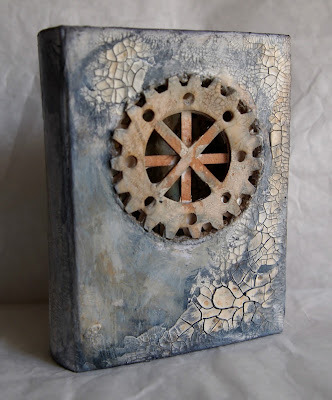 Hello, welcome back and/or an especially warm welcome to you if you are new to our steampunk/industrial mixed media challenge blog! themed challenge. 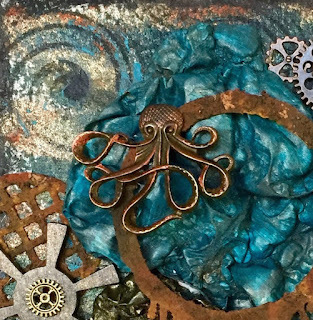 So all kinds of mixed media tags, cards, altered art projects, jewelry and other possible creative projects are welcome - as long as they are visually related to steampunk or industrial style. Please, make sure to check out our few rules if you are new to this place - so any disappointment with exclusions from top votes and prize draws can be avoided! 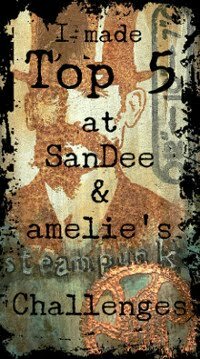 It would be a shame if your beautiful project could not be considered - simply because of a little simple rule to follow while enjoying some steampunk or industrial crafting fun! will be glad to give away a little prize package to two randomly drawn players among all proper entries! 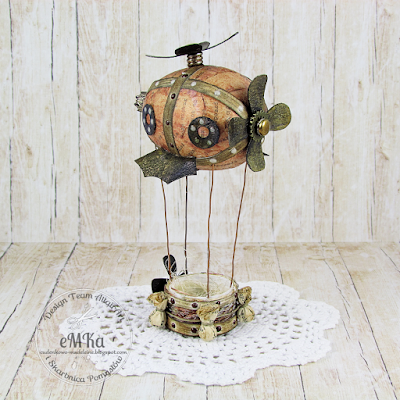 Team A have created a new bundle of awesome inspiration to help you embark our huffin' and puffin' steampunk mixed media train! As my lovely and talented crew always invest a lot of love and labour into their beautiful projects and some also tell a bit about the process, I would highly recommend and be very thankful if you visited their blogs too and maybe also left them a short comment to let them know you were there! To get to their blogs simply click on the teamies' names. For an enlarged view click on the images. The heart to its reasons ?.. je vous est mis d'autres détails sur mon blog . Here is altered pocket- size mirror which I found in thrift shop. It measures 8x5 cm. Team B will present their projects on the 15th as usual. So I hope you will come back then to check those out too. Our Top 5 and prize winners from the May challenge will be announced here on the challenge blog on Saturday, 11th June.